Shoes that rework classic tennis style, designed with Pharrell Williams. Creative juxtaposition and social consciousness are key to Pharrell Williams' artistic alchemy. 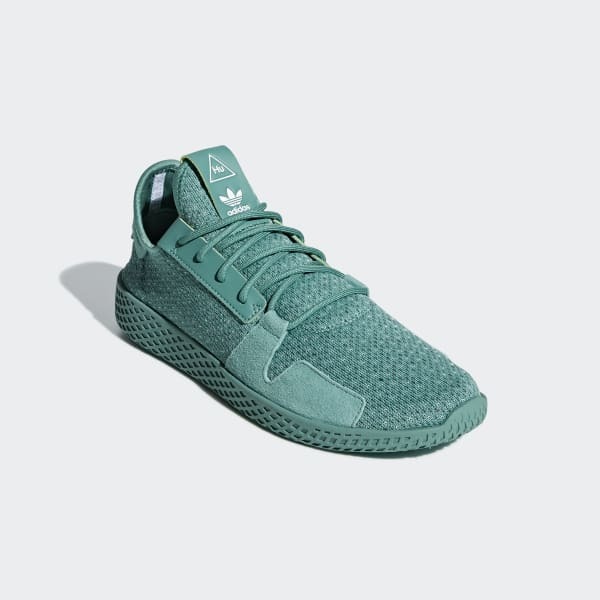 The multitalented artist has teamed up with adidas to design these soft and flexible knit shoes that feature saturated colors and playful touches. 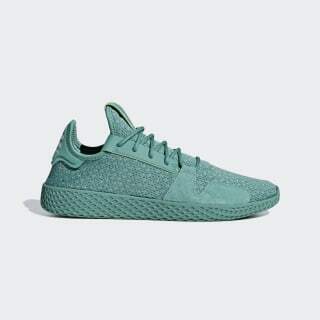 They're part of a special Pharrell x adidas Humans of the Earth collection that's focused on raising awareness about our environmental impact. Pharrell's sign-off on the tongue and heel add authentic style.